Your elementary school yearbook theme has a big job—it should capture the sense of fun the kids have in getting one of their first yearbooks, be a way to look back at the year that just passed, and enhance the anticipation for what the future will bring, just for starters. Coming up with the perfect phrase for this theme is a fun challenge, but you don’t always have to start with words. 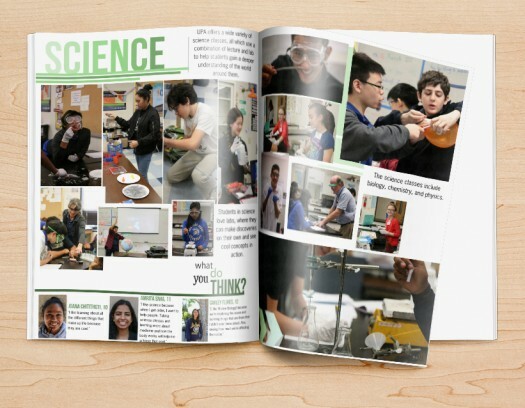 Deciding on the general aesthetic of your yearbook can be your first step towards a theme, and you can develop the rest from there. 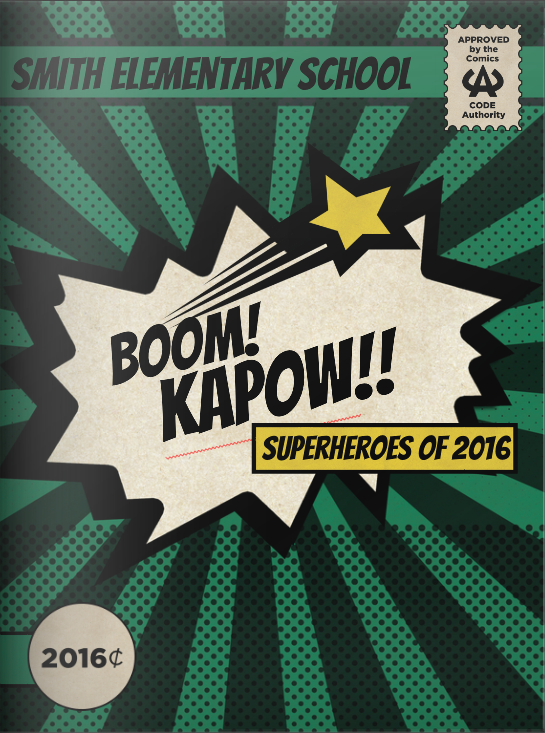 Our Yearbook Theme Generator can get some of the creative energy flowing. 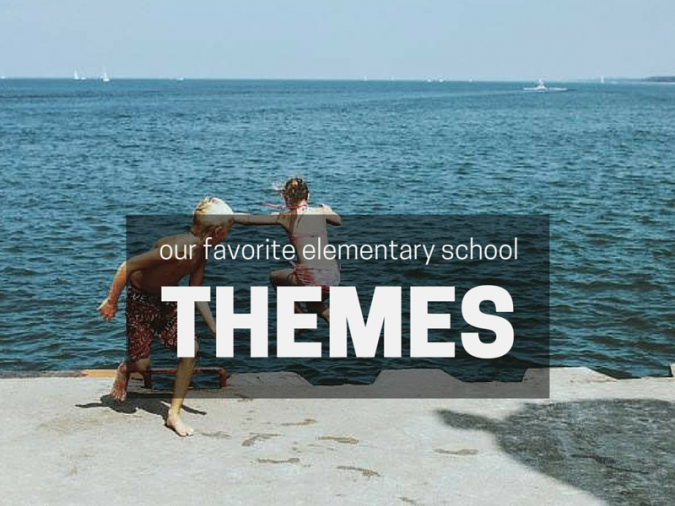 Here are a few of our favorite looks for elementary school yearbook themes to get you started. 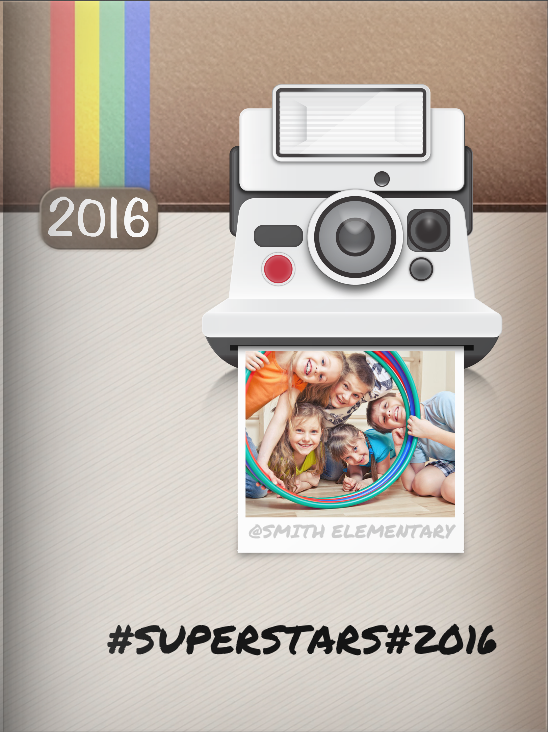 Social media is a huge part of elementary students’ lives. A theme that celebrates that will catch their attention and leave them with memories for years. In this cover, we’ve taken several key elements of social media and incorporated them. 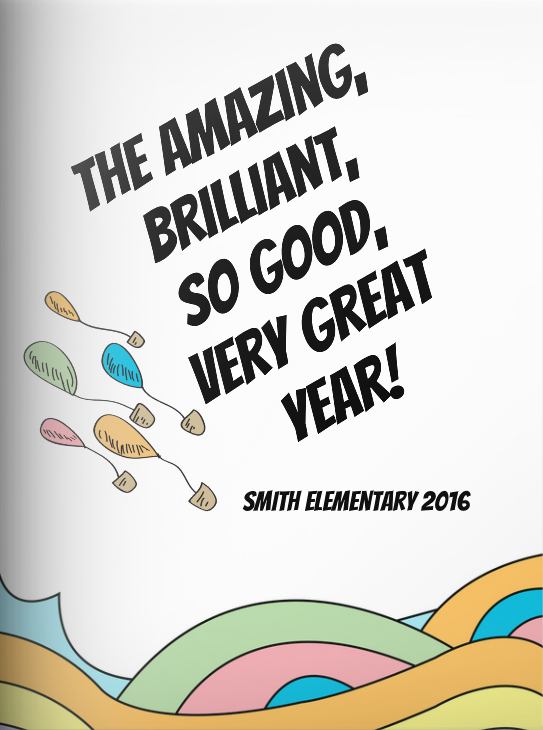 The @Smith Elementary gives an address, and hashtags can be a fun way to highlight what has happened during the year. #2016 is a great signifier, and feel free to also use your own hashtags that will be recognizable. This works throughout the book too. #pizzaparty, or #bestplayever create instant memories. Everyone loves playing games, and board games are some of the first memories that elementary school children have. Classic games and new games have never been more popular, whether on cardboard or in apps. A game theme offers huge amounts of possibilities throughout the book. 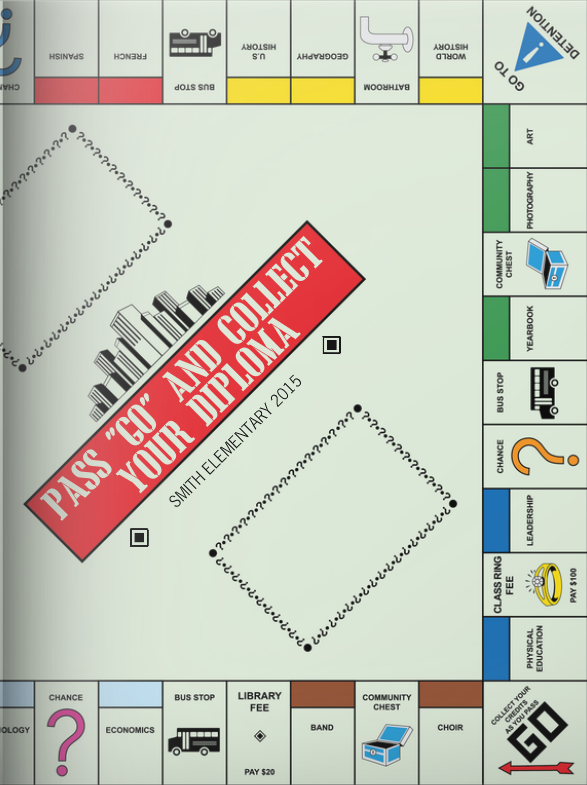 Monopoly, for example, can have “Go Directly To The Next Grade” or “Park Place: Honoring the Honor Roll”. Whatever game you choose, opportunities abound. It’s an expansive theme. This is a fun, buzzy style that captures the energy of a thousand hallway conversations, whispered exchanges and passed notes when the teacher has her back turned. It is an echo of the exciting way that elementary school kids talk to each other and share their own opinions and inside jokes. 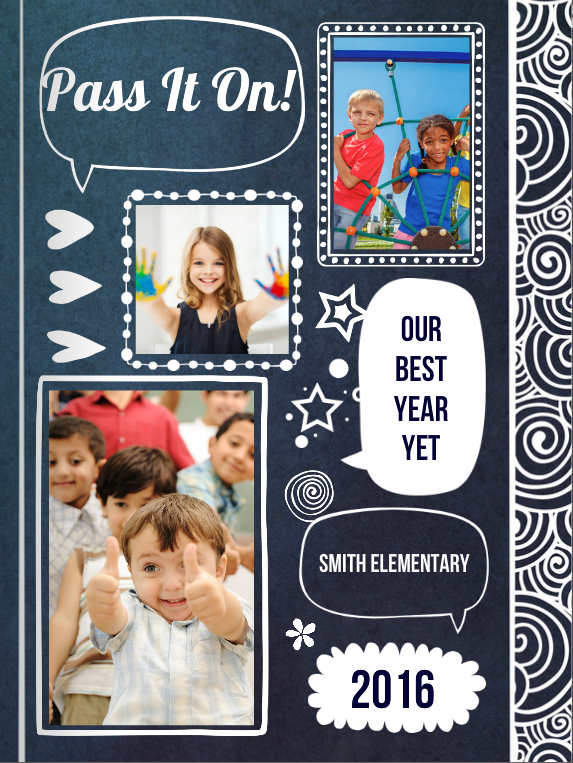 “Pass It On” sets up the idea of passing notes, which opens up huge possibilities throughout the book, as the pages “unfold” and the story of the year is passed down the line. Children’s books (particularly those by Dr. Seuss) provide vivid imagery and whimsical style. Capturing the spirit of the books that define childhood not only gets students excited, but it’s something to pull out later to remember the books that were once their whole world. This allows you to use an inverted structure of the book throughout, with fun and awesome things building on themselves. Any popular book can be used as a series of events that run roughly parallel to the year. These are just a few ideas to get you started. The great thing about picking a theme for your elementary school yearbook is being able to carry that theme throughout the book in fun, inventive ways. Make sure that you have an idea of how that will happen before you dive in, since you don’t want to get stuck halfway through. By capturing the imagination and excitement of childhood, you’ll be able to spur on your own.